This fall’s popcorn sale runs from September 21 through October 28, 2018 and it looks to be the best ever from Trail’s End and Northern Star Council. Last year’s success was phenomenal. Scouts earned over 1.2 MILLION dollars for camping experiences and unit activities. Consider having your unit sell popcorn this year! 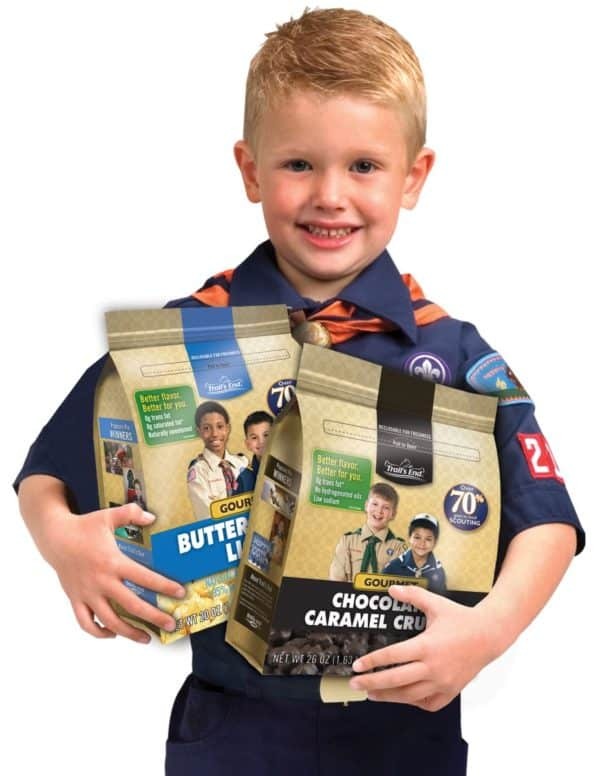 If your Scout unit already sells another product, popcorn is a great addition to your current program to raise additional dollars. Popcorn sales also help Northern Star Council make camp improvements, keep camp and activities costs low, and provide services to volunteers and youth. Attend one of the upcoming Popcorn Seminars – Learn more about the program! Win part of thousands of dollars in door prizes! Learn how to this can be the ONE fundraiser you do all year. Join fellow unit popcorn chairs at one of the 2018 Super Saturday Edition Popcorn Seminars and bring your family! These seminars are designed so the unit popcorn chairs can bring their family out to have fun while they learn about the popcorn program. Click below to register for a Super Saturday Seminars!